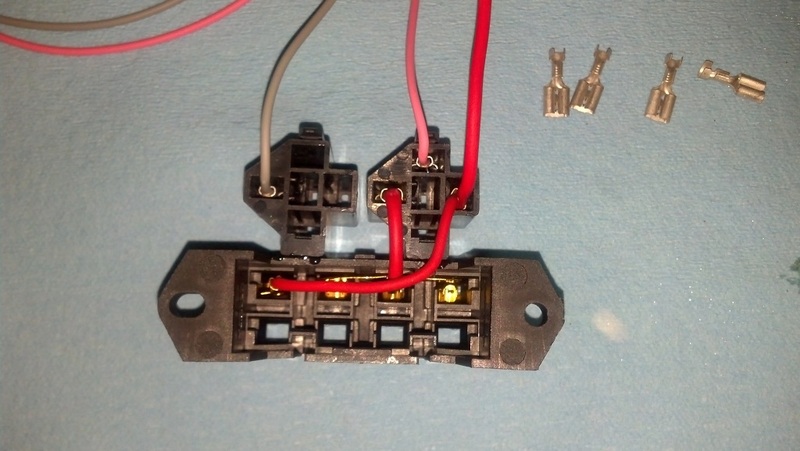 Here I will outline building your own fuse block and attach relay sockets. 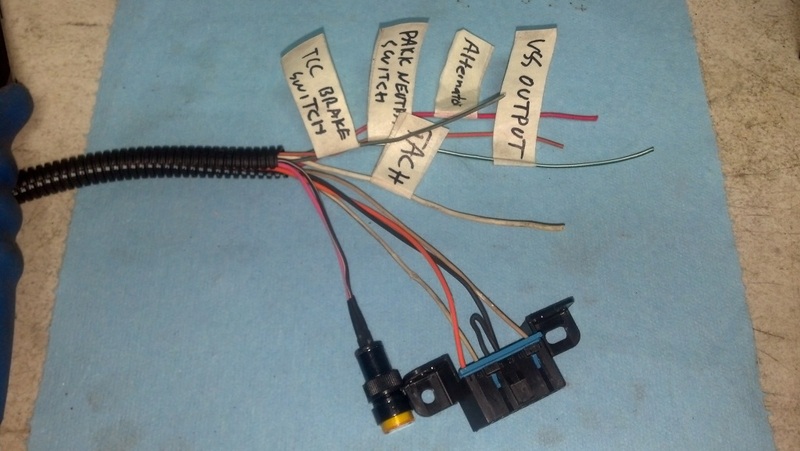 This is a general guide that will work for most any wiring harness. I use this same basic setup for LT1, LS1, Vortec Trucks etc. 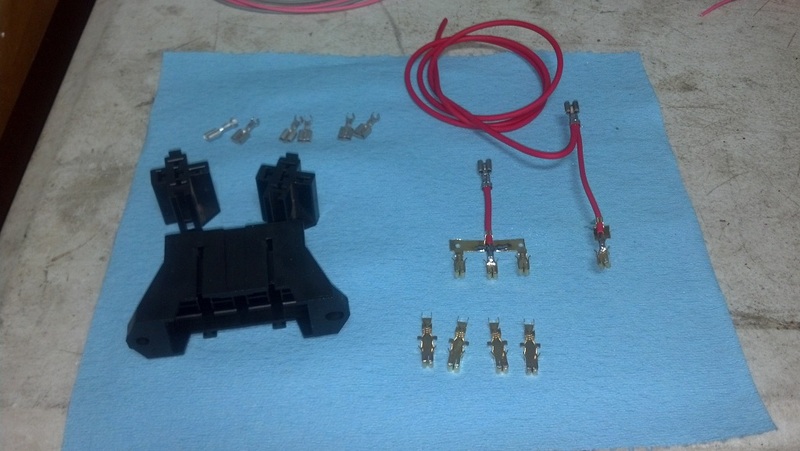 First off, the parts you will need to build the fuse block and OBD2 Diagnostic Port. 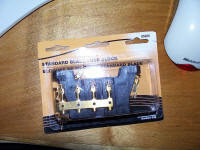 I have found that AUTOZONE can order you the fuse block, with terminals for $5.00 part# is 85668. This is a Dorman part. From www.rockauto.com its less then $3.00. The relay sockets from allelectronics will have short wires in them, with terminals. DO NOT use these, you can insert a small screw driver in the slot on the top and bend the tab, and remove them. Order new terminals. The stock wires on these relay sockets are not up to the current needs of the fuse block. Also, these sockets are the only ones I can find, that will slide onto the side of the fuse block. Order extra terminals incase you need to re-do something, for OBD2 port, Relay sockets, Fuse holder, etc, they are not expensive, $0.10 to $0.25 each or so. I always crimp AND solider all my connections. Hold down the SHIFT key on your keyboard when you click the picture to see a large version of the picture in a new window. 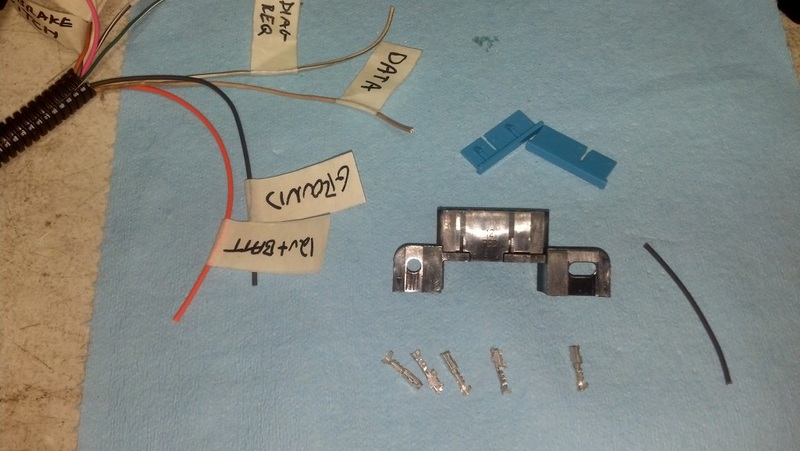 Here are the required parts for fuse block assembly. I have cut the 4 terminals bussed together, to have 3 together, 1 seperate. Using terminals for heavy gauge wire, crimp, solider on as shown. Relay terminal and the 3 bussed fuse terminals seated untill they click into place. Next we install the relay INPUT terminal. The red wire extending UP out of the picture will go to BATTERY HOT 12v+. This also supplies constant power to the fuse on the end of the block. 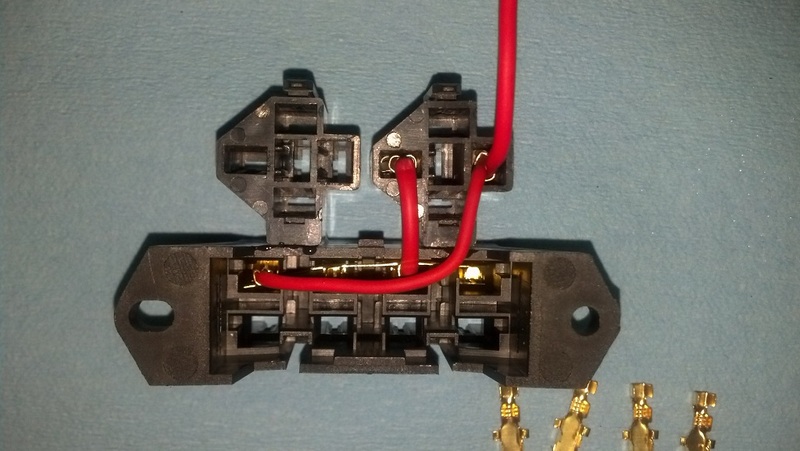 The Gray 16 AWG wire gets a terminal and installed in the OUTPUT leg of the fuel pump relay. 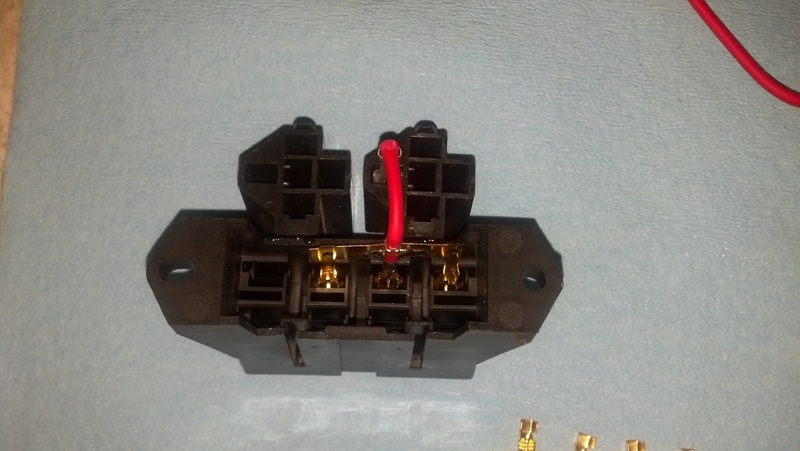 The other relay gets the PINK wire terminal installed in the relay coil location. This will be the KEY HOT power that activates the relay, powering up the three fuses bussed together. We now have 4 fuse terminals left, 4 relay terminals left. 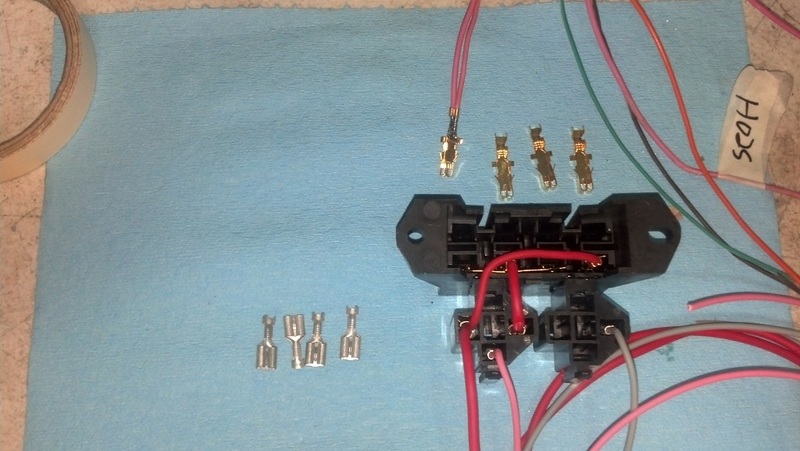 You can start grouping the PINK wires together for the 3 key hot fuses. Here I have added the ORANGE battery constant power to the PCM, and a jumper to the fuel pump relay INPUT terminal. And finally, I have installed the GROUND for each relay coil, using a jumper from the first realy to the second. PCM supplies 12v+ to trip fuel pump relay. 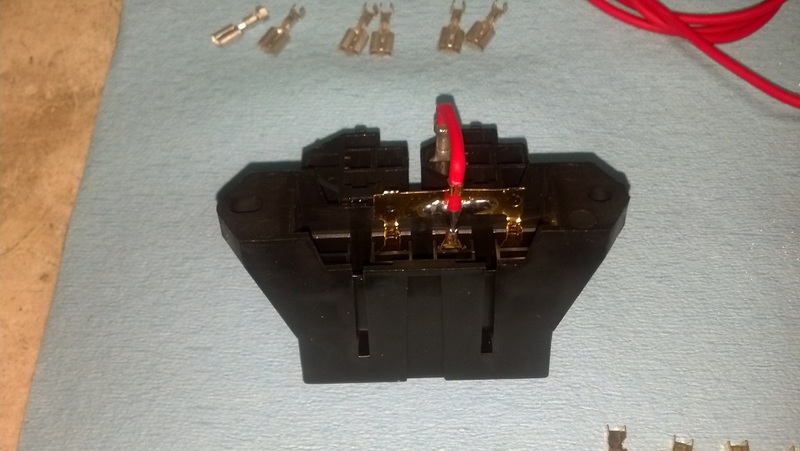 I also installed the Fuel Pump Relay control wire from the PCM into the relay coil termianl. 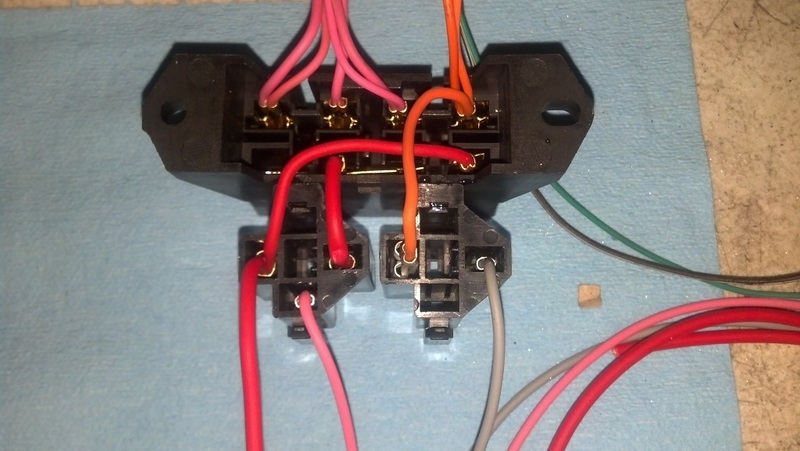 The coiled up wires, pink, orange, and black are for the diagnostic port and check engine light. I made these about 6' long to reach inside the vehicle. Here are the parts required for OBD2 port assembly. This picture is for a 1994 LT1 car, so we have a TAN wire at pin 9. 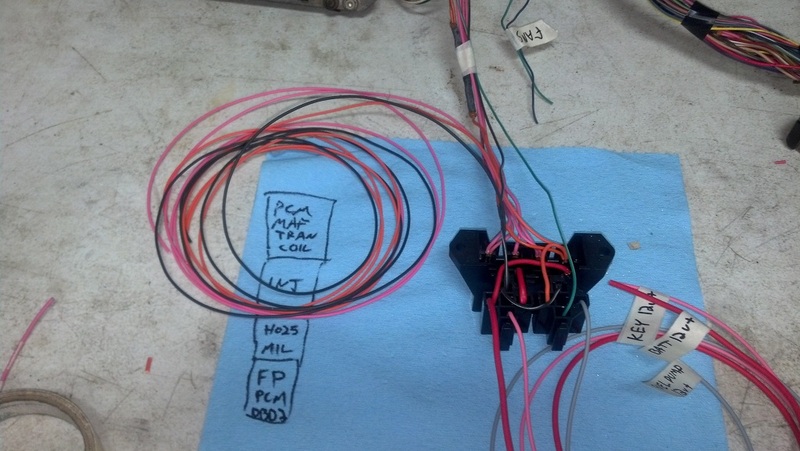 OBD2 PCM's would have a purple wire at pin 2. You can also see some of the wires for external connection labeled. All OBD2 port's for LS1, Vortec Truck are the same. Pin 2. - Serial Data - FROM the PCM. Pin 4 & 5 - GROUND - Usually only pin 5 is needed, however some scan tools/code readers will need GROUND on pin 4 as well. Pin 16 - 12v+ BATTERY - Power from 12v+ Battery source. 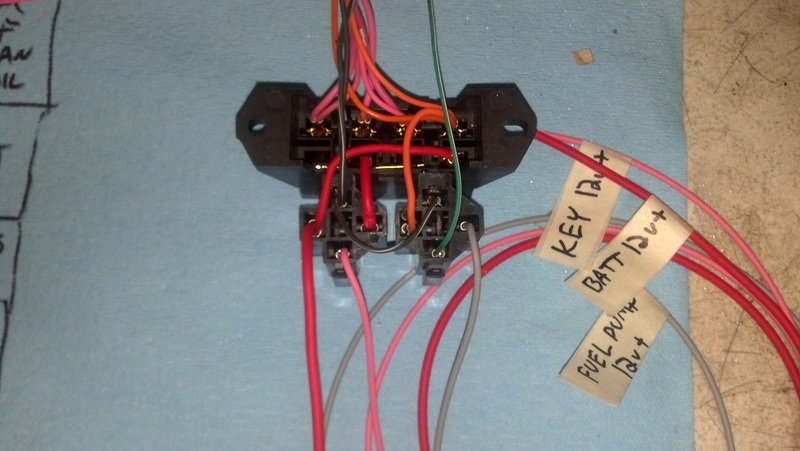 OBD2 LT1, 96-97 ONLY will have additional wiring to OBD2 port. 1995 LT1 used an OBD2 port, but were not OBD2 vehicles. These did not have a Serial Data on Pin 2. These used pin 9.